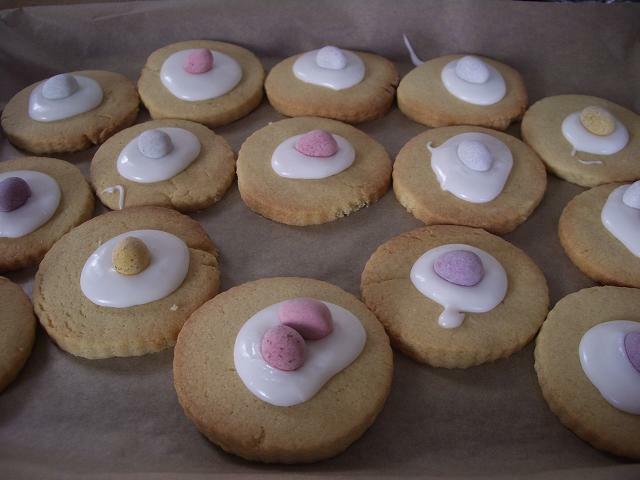 This entry was posted in biscuits, easter. Bookmark the permalink. Those look yummy! !Happy Easter,blessed be. An eating greeting – good egg!! oh, each one has a cute egg on top!!! Not only do the biscuits look good, they taste good!! mum and Dad. Good for you that you shared your biscuits with Mum and Dad.